The treatment will help tackle symptoms of triple negative cancers by attacking cells that remain resistant to hormone therapy. The drug is designed to weaken those chemicals by migrating them to other organs through connective tissues, blood vessels and immune system cells to make them easier to treat. Triple negative cases are fast-growing cancers that account for one in six cases and kill a quarter of victims within five years. The breakthrough reported in Nature Medicine could revolutionise care for thousands of women across the UK and the world. 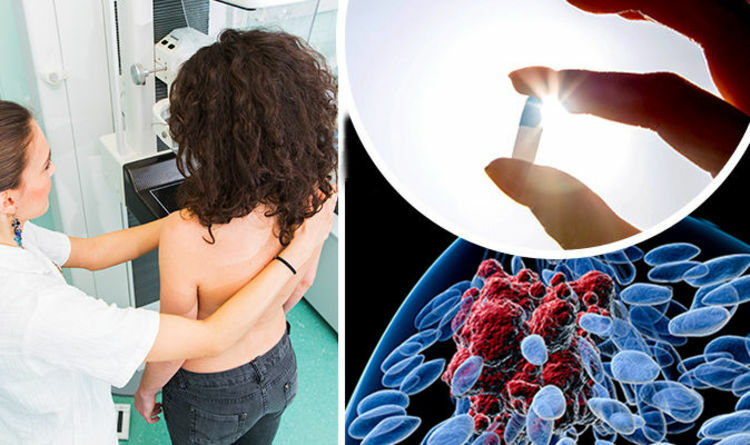 Professor Kristian Pietras, a cancer researcher at Lund University in Sweden, said: "We have developed a new treatment strategy for aggressive and difficult-to-treat breast cancers that restores sensitivity to hormone therapy. "These findings have major implications in the development of more effective treatments for patients with aggressive breast cancer." Tumours arise in two types of glandular tissue in the breast - the outer “basal” cells and inner “luminal” cells. The latter are much less dangerous than the former. Prof. Pietras, who has worked with researchers in Germany and Australia, identified how high levels of a growth factor in basal cells named PDGF-CC allows aggressive cancers to spread much more easily. After comparing more than 1,450 specimens of tumours, the international team were able to develop a drug that can block the PDGF-CC. Remarkably this changed the cells from basal breast cancers into hormone-sensitive luminal breast cancers - which are much more treatable. As a result, the tumours then became highly responsive to conventional hormone therapy. More than 55,000 cases of breast cancer are diagnosed each year in the UK. The disease claims almost 11,500 lives annually. Aggressive breast cancers are much more common in women under 40. Up to 15 percent of women with breast cancer have the basal cell form that are insensitive to hormones. They typically require more intensive treatment with chemotherapy - which may be associated with severe side effects. If left untreated, these “triple negative” cancers are more likely to spread and often recur. Co-investigator Prof Ulf Eriksson, of Karolinska Institute in Sweden, said: "Previously it was believed the various subgroups of breast cancer originated from different cell types in the mammary gland. "Our research has shown connective tissue cells can also modify tumour cells directly with regard to their sensitivity to hormones - which has significant implications in the development of more effective treatments."